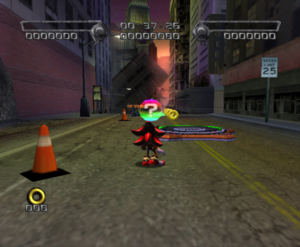 Shadow the Hedgehog is a 2005 video game developed by Sega Studio USA, the former United States division of Sega's Sonic Team. 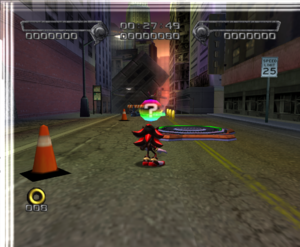 Featuring the titular fictional character Shadow the Hedgehog from Sega's Sonic the Hedgehog series, the game was revealed at the March 2005 Walk of Game inauguration of Sonic, the series' main character. 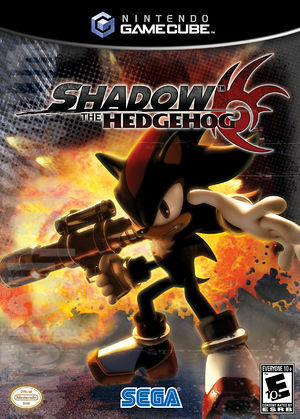 Shadow the Hedgehog is the third game (and the last in the Sonic series) developed by Sega Studio USA, which was merged back into Sega's Japanese division in early 2008. 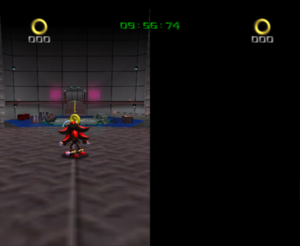 Prior to 5.0-3251 2P mode is only playable with EFB Copies to Texture Only disabled, otherwise the right screen is not shown. 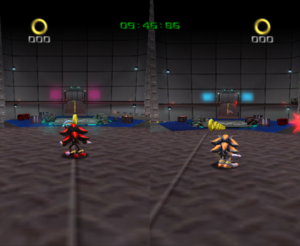 Much like Sonic Heroes, non-native internal resolutions or anti-aliasing will cause white stripes to appear on the top left of the screen. This can be avoided by enabling the Vertex Rounding Hack in 5.0-3251 or newer, applied by default in 5.0-7714. Off Allows the use 2.5x, 3x, 5x, and 7x IR without glitches. This does make an annoying lighting effect glitch visible. There is a fix for this. There is a Gecko code listed above to remove the lighting effect. Off Fixes 2nd player screen. Not necessary in single player. The graph below charts the compatibility with Shadow the Hedgehog since Dolphin's 2.0 release, listing revisions only where a compatibility change occurred. This page was last edited on 2 January 2019, at 07:37.